The new setting can be accessed by updating WhatsApp to the latest version, then launching that app and tapping the Settings tab. WhatsApp is among the most popular messaging service in the world. 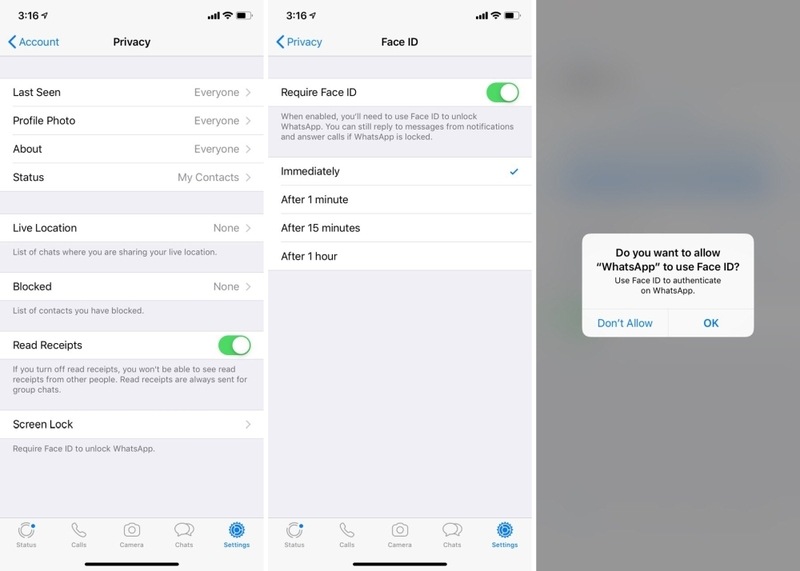 You can now select either "Require Face ID" or "Require Touch ID' to turn on facial recognition or fingerprint scanning, meaning you'll be asked for biometric authentication each time you try logging into the WhatsApp iOS app". Some manufacturers, like Samsung and Huawei, bake similar features right into their Android skins. Still, for those not wanting to use third party solutions, WhatsApp's extra security measures are a welcome extra layer of security for something so personal as your private conversations. Messages will still be partially visible via notifications, and they can still be quick-replied to. The option to enable Screen Lock can be found under the Privacy section.